Becoming Unfamous is the story of faith to fame and success to significance. 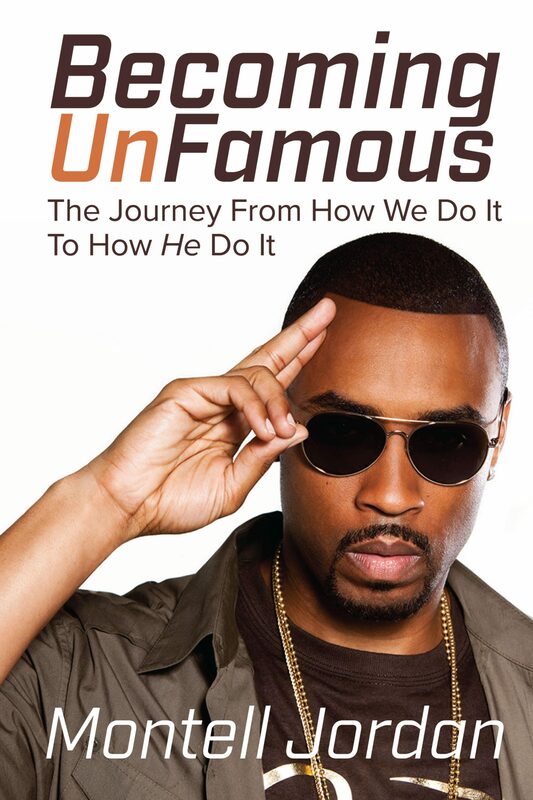 Discover how R&B singer, songwriter and superstar Montell Jordan made the journey from performer to pastor in his self-penned transparent autobiography that shares his journey from marriage and music into ministry. Montell's story begins by documenting the intimate details on the night in 2010 when he determined to exit the music business. In a letter typed into his smartphone while seated in an Atlanta young adult ministry church service, he shares that God spoke to both he and his wife Kristin (while in different places in the room), confirming that their exodus from the entertainment industry would be immediate. In true Hollywood fashion, the story then rewinds to where his childhood began some forty-something years earlier in the city of angels. Unfamous begins with Jordan's recollections of his childhood amidst the backdrop of teen pregnancy, adoption, and the struggles of inner-city life in south central Los Angeles, CA, where the life expectancy for young black males at that time was 18. Faced with the heightened tensions of gang violence, opportunities to use and distribute drugs, and evading the questionable practices of the LAPD, Montell found refuge in the local church. Music would become the outlet and familiar refuge for him. Gospel and R&B music, pop culture and the introduction of MTV, and the gangsta rap era would provide the DNA for the young church kid who would one day become a Grammy nominated rap singer. It was during Jordan's college years when he would experience fraternity life and begin experimenting with artistry as his affinity for emerging hip hop and R&B styles drew his interest. Unbeknownst to him, life and relationships outside of the church for the first time would be the early beginnings of his ministry training ground. Montell would meet the love of his life, Kristin Hudson during this season. Otros ebooks de Montell Jordan.